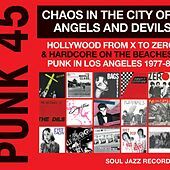 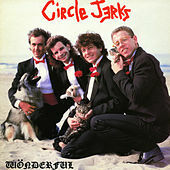 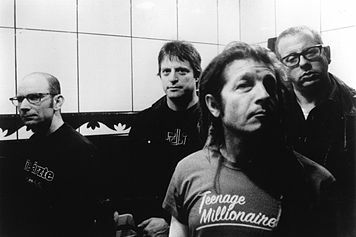 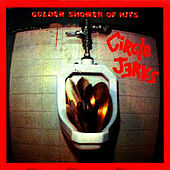 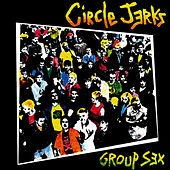 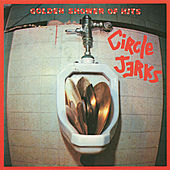 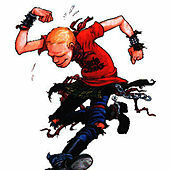 After only one single with fellow Los Angeles punks Black Flag, singer Keith Morris left to form the Circle Jerks. 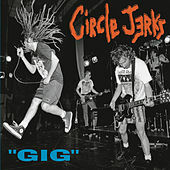 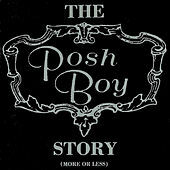 Crude and unruly, the band played with middle fingers proudly outstretched and huge smirks smeared across their faces. 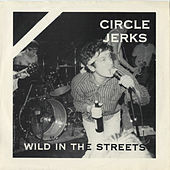 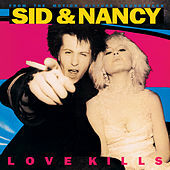 First documented (and immortalized) in the 1980 film Decline of Western Civilization, their hyper-energetic live shows quickly became stuff of legend. 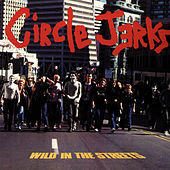 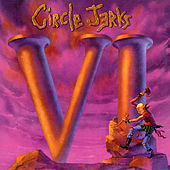 Cram-packed with speedy skaters and jubilant misfits, a Circle Jerks show inspired the most stage diving of any band this side of Minor Threat, and made them one of the most beloved bands to come out of Los Angeles. 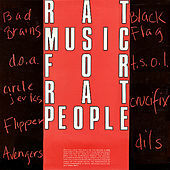 They continued to release material on and off into the mid-1990s, the highlight being a guest appearance by Debbie Gibson on Oddities, Abnormalities and Curiosities (1995).